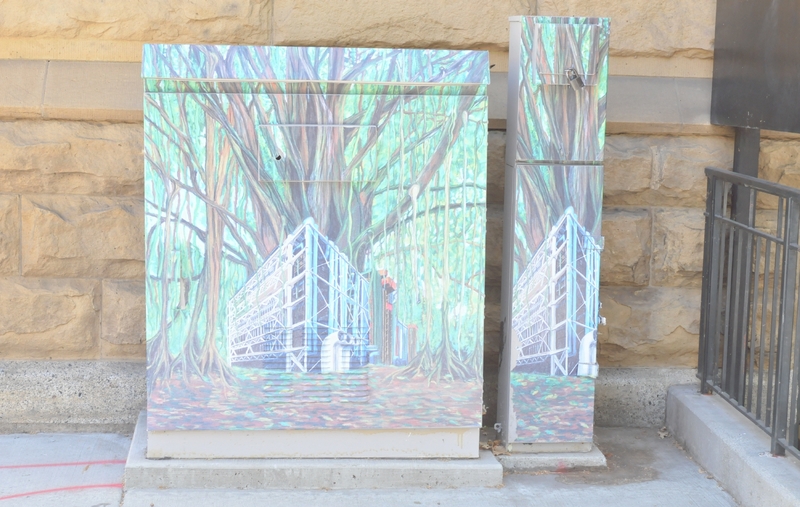 The art was on a utility box by the new wing section of the San Jose Museum of Art. 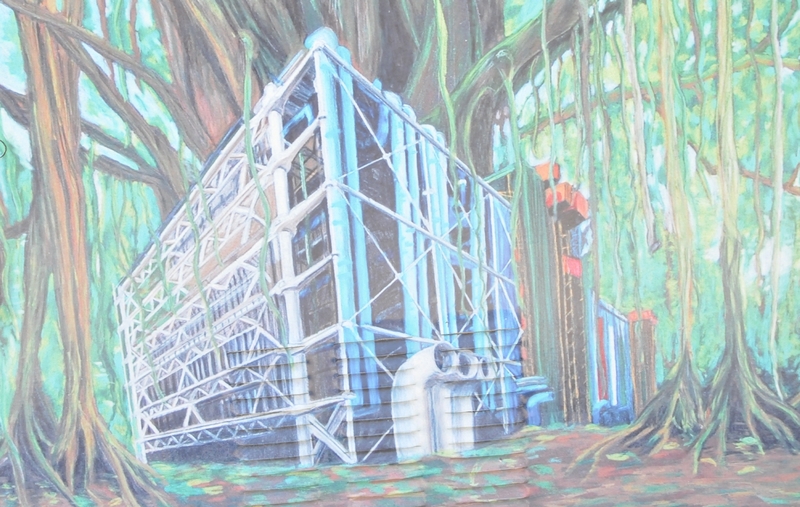 The art showed an industrial building surrounded by forest. 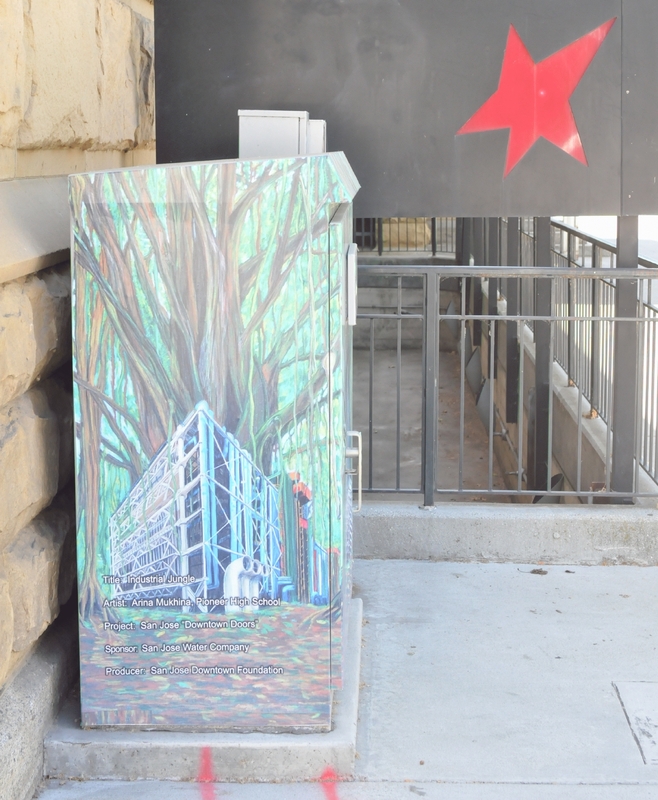 The art showed an industrial building constructed around the base of a gigantic tree. 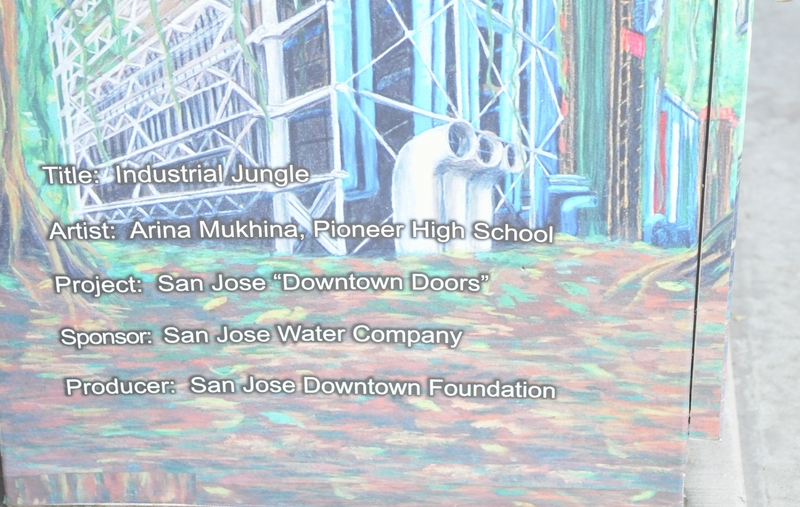 The building was constructed of industrial pipe and rods. 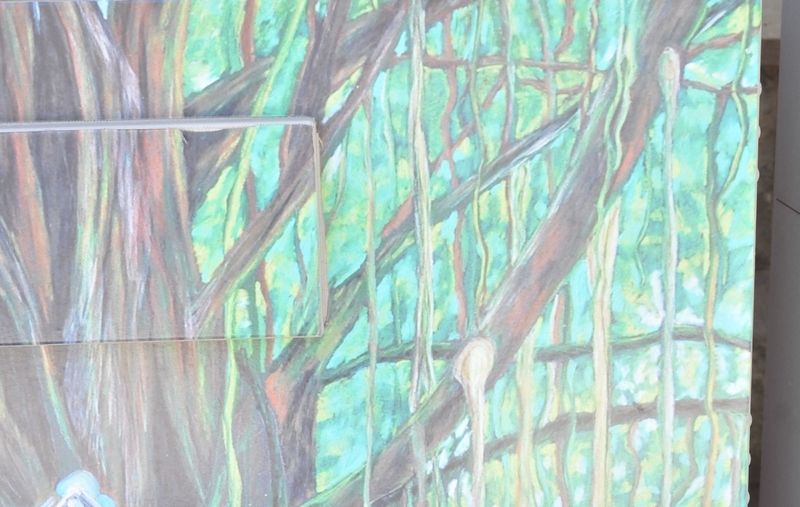 The tree in the center of the building was covered in hanging moss and lichen. 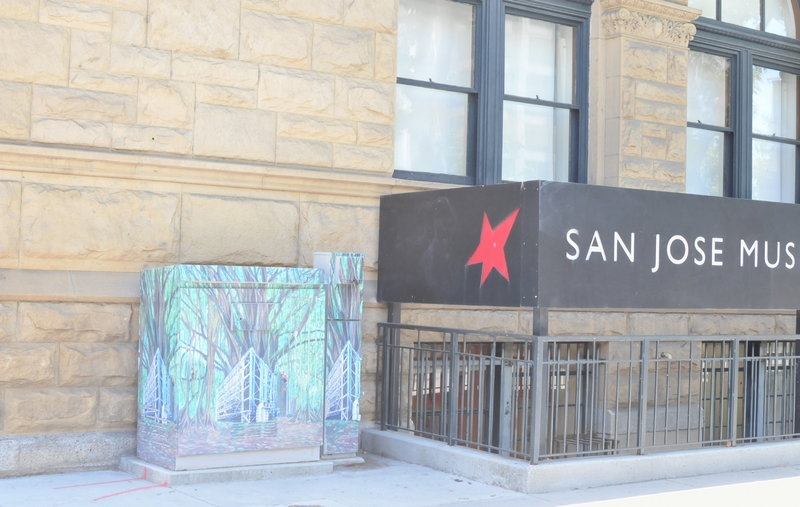 The red star of the San Jose Museum of Art contrasted with the blue, green, and brown of the art.